Summary: When Vicky Cruz wakes up in the Lakeview Hospital Mental Disorders ward, she knows one thing: She can’t even commit suicide right. But for once, a mistake works out well for her, as she meets Mona, the live wire; Gabriel, the saint; E.M., always angry; and Dr. Desai, a quiet force. With stories and honesty, kindness and hard work, they push her to reconsider her life before Lakeview, and offer her an acceptance she’s never had. But Vicky’s newfound peace is as fragile as the roses that grow around the hospital. And when a crisis forces the group to split up, sending her back to the life that drove her to suicide, Vicky must try to find the strength to carry on. She may not have it. She doesn’t know. Inspired in part by the author’s own experience with depression, The Memory of Light is the rare young adult novel that focuses not on the events leading up to a suicide attempt, but the recovery from one — about living when life doesn’t seem worth it, and how we go on anyway. 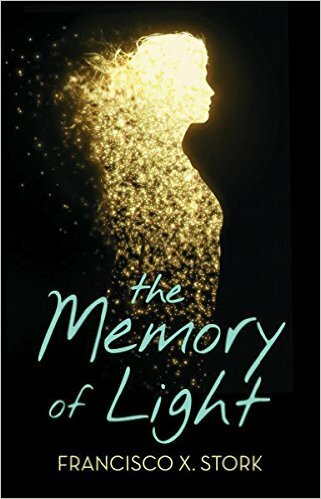 Review: The Memory of Light is compassionate look at Latina teenager Vicky Cruz in the aftermath of her suicide attempt, and it is also a hopeful look at a young woman’s attempt to recover from it. One of the many things I liked about this book was the diversity of its cast—racially and/or ethnically, neurologically, and economically—and how those things inform the world and its characters. There is no traumatic tipping point for Vicky’s depression, no horrific event she must overcome. And while those stories are important to tell, it is equally important to tell stories where depression seeps into being, where there is no pivotal moment to kickstart a depressive episode, where the protagonist realizes that somewhere along the way her brain has changed the way it works. Some of the most memorable scenes in Memory are Vicky finally being able to describe what her thoughts and feelings are like. Vicky’s slow-building insights into herself, her family, and her school life are equally complicated and honest. Her conversations with her sister and her father are difficult, as is her return to her home and school. Recovery isn’t linear for Vicky, and Memory doesn’t shy away from depicting how taxing it can be to do something as simple as going to class. The friendships Vicky and the other teens at Lakeview form help all of them share and forge tools to manage their illnesses. Mona, E.M., and Gabriel are all distinct characters with different motivations, family circumstances, and mental health. (I would very much value other reviewers’ opinions on how those mental illnesses were handled as I am less familiar with them and their associated tropes.) While I rather liked Dr. Desai’s character, her professional ethics made me raise an eyebrow several times, particularly since the majority of the breaches were obviously made so Vicky could get the information she needed and move the plot forward. I wasn’t entirely satisfied with the climax of the book—much of it seemed rushed and dependent on external peril, in contrast to the quieter, internal focus of the rest of the novel. Several of the characters that I thought could have been important to Vicky’s journey weren’t as fleshed out as I would have liked, particularly Juanita and Barbara. Author Francisco X. Stork doesn’t wrap everything up with tidy bows; by the end of Memory, all of the Lakeview quartet are in different places, but not all of those places are objectively better. Vicky’s own recovery is a possible, but not certain, thing, though I would term the ending a hopeful one. Stork ensured that Vicky acquired the tools and the start of a support network she needed to be able to continue living. Recommendation: Get it soon. While The Memory of Light has a few blemishes, it is still a solid effort to depict the aftermath of a suicide attempt and figuring out how to live even when it seems like the effort isn’t worth the cost. Hmm, thanks for your honest review. I will keep my eye on this one for now. It seems to be getting solid reviews overall in Goodreads, so I can at least add it to my TBR list for now. Glad you found it! Hope you enjoy it. I think it’s time for more strict comment moderation! These spam bots are so annoying. They are very annoying. I don’t know why our spam filter has failed this week, but I’ve tweaked the settings again. Here’s hoping that will take care of it!